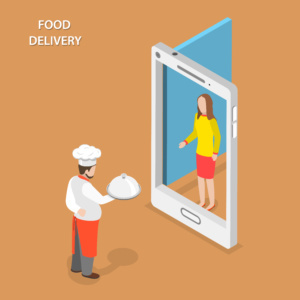 If you run a restaurant and still haven’t made the jump to digital platforms for food ordering and delivery, chances are you’re not really sure exactly how it can benefit you. You’ve already got customers coming in through the door, so why bother going out on a limb? Why fix something that’s not broken, right? These are perfectly understandable questions. And yet, many other restaurants have done exactly that, and in most cases they’ve seen their sales and overall revenue go up. So, while your existing system might not be broken at all, that doesn’t mean it can’t benefit from an upgrade of sorts. If you’re still on the fence about setting up a website or a mobile app, consider the following ways that it can help increase your customer base, sales, and revenue in general. Without a doubt, the biggest advantage for most people when it comes to online food ordering is the fact that it’s just plain convenient. Now you don’t have to get in your car and go somewhere to order your food, or pick up a phone and talk to someone (with all the communication problems that can happen that way) — you can do it simply and error-free with just a handful of clicks. And if the restaurant in question also delivers? Then you don’t even have to put on clothes! Or consider this: you’re driving to your destination and time is a factor, but you’re also hungry. Rather than having to go somewhere and stand in line, give your order and wait for them to make it, you can have the food ready to go by ordering online in advance. In other words, online food ordering makes the entire process so much more convenient. And for many people today, convenience is a huge factor when deciding what service to go with. Another reason to consider online platforms is that research has shown that customers tend to order more when ordering online. This is because you can configure the application to automatically suggest the perfect sides, drinks or other items to go with whatever is being ordered. In addition, people tend to upsize their orders when ordering online. All of this is due to the fact that something on a digital screen just doesn’t seem as “real” to people as something done in person, so it’s easier for them to consider more options. Either way, the result is a healthy boost to your bottom line. order in the future, and pairing something like individually-tailored coupons or specials gives the customers the sense that you are catering specifically to their needs and likes. A further factor in this area comes in the sense of social media. By integrating social media to your mobile app, customers can get an “inside look” at the people and events taking place at your establishment. Information like this gives customers the feeling that they have a connection to your restaurant, and will be more likely to visit. The social media and couponing mentioned earlier also play another role: advertising. Not just to your existing customers, but to others as well. Sending out a coupon and encouraging them to share it online or text it to their friends works just as well, if not better, than any sort of word-of-mouth campaign you can try to cook up on your own. Not only will people notice the coupon, but they will have discussions and talk about it. For those customers who haven’t visited in a while, specific deals marketed towards them are a great way to get them to return. Every time a customer orders, you build a trove of information on their food preferences. So, when you’re trying to get them to come back, targeted ads right to their phone about the foods they love are a great way to get them to look. 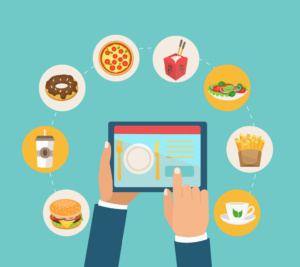 If none of this sounds like reasons to pull that trigger, then consider this: online ordering is the preferred method of food ordering for many millennials today. As your customer base gets older, you’re going to need to market to the next generation of customers, and there’s really no way you can do that without digital technology. And if that isn’t daunting enough, the generation that comes after will be even more entrenched in digital technology. At that point, a mobile app, or even a website, won’t be considered a luxury: it will be an expectation. If you have any plans for your restaurant to survive well into the 21st Century, then digital ordering is a necessity.